MonsterEffects™ is a signature OptinMonster technology that helps you catch visitor’s attention with animated effects. Using MonsterEffects™ with your Popup campaign will help catch your visitor’s eye and can help increase conversions. Follow this guide to get started adding MonsterEffects™ Animations to your popup campaign. REQUIREMENTS: MonsterEffects™ are available with a Plus subscription. Click Me to See MonsterEffects™ in Action! Can I add MonsterEffects™ to other campaign types? Can I customize the animation speed for MonsterEffects™? If you haven’t already created a campaign you want to apply MonsterEffects™ to, start there. 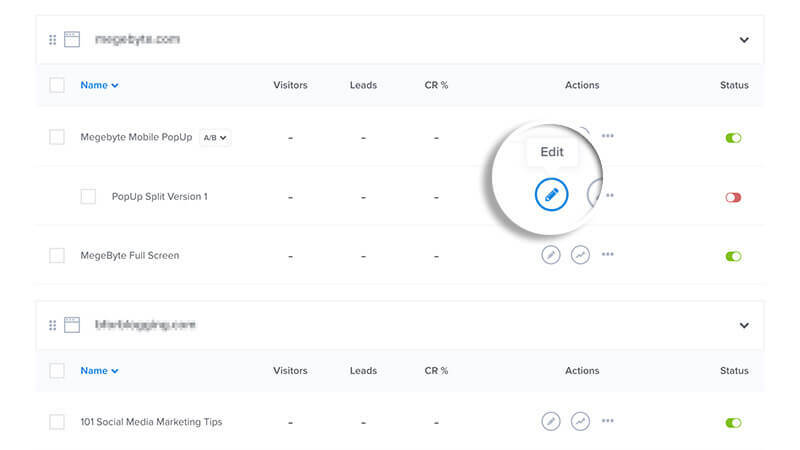 Or you can modify an existing campaign from OptinMonster Dashboard by selecting the Edit button. 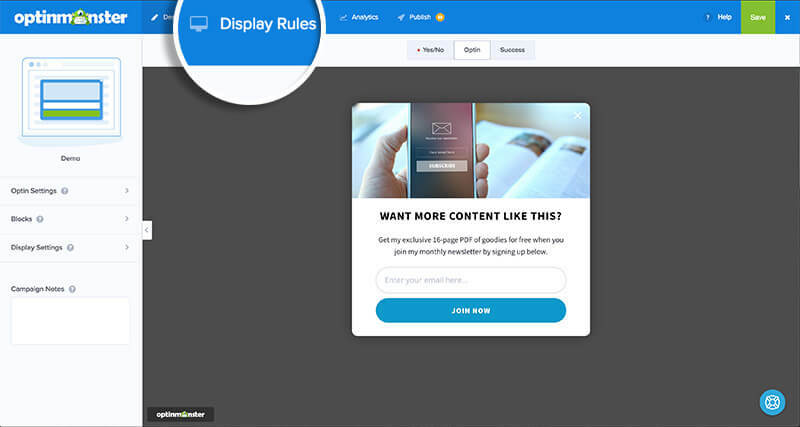 In the Builder, navigate to the Display Rules tab. 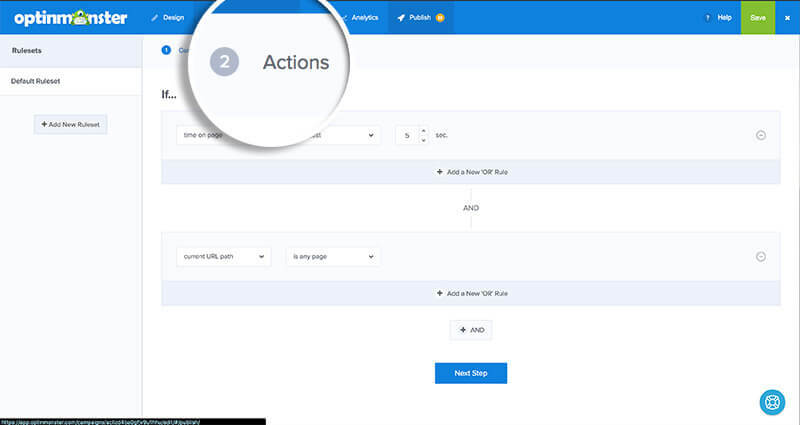 Go to the Actions section. Click +AND to add another action. Choose Show with MonsterEffect from the Action menu, then choose your animation. Finally, once you have finished with all of your edits, click save. That’s it! You have now added MonsterEffects™ to your Popup campaign! Want to add a sound effect as well? See our guide on how to add sound effects to your campaigns! Q: Can I add MonsterEffects™ to other campaign types? A: No, it is only possible to use MonsterEffects with the Popup campaign type. Q: Can I customize the animation speed for MonsterEffects™? A: No, at this time it is not possible to customize the animation speed for any MonsterEffects™ animation.